Skinny Jeans & a Chai Latte: Food & Beer Friday :: Winter Warmer. Considering it is officially post-Thanksgiving, I consider it winter and holiday time! Food & Beer Friday is following suit. I'll be featuring lots of winter beers throughout the remainder of 2012 (um, how crazy is it that we are almost into 2013...well if the world doesn't end :)). In honor of some of my favorite Boston blogger ladies (hello, Alex & Anna! ), I'm starting with a native Boston brew. 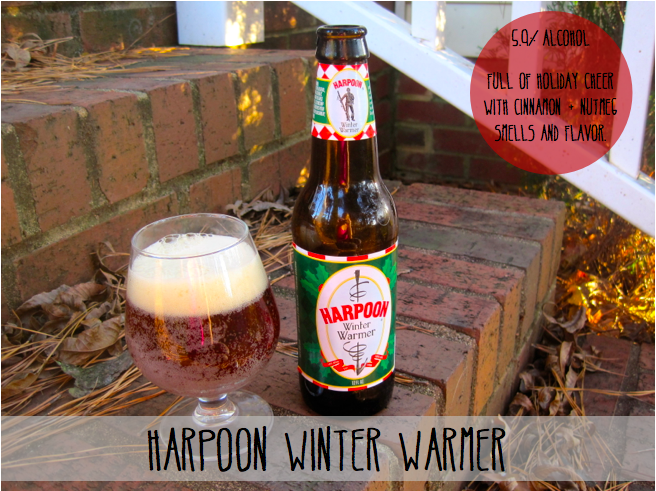 Harpoon's Winter Warmer just may rival some pumpkin beers with it's spicy aroma! You can definitely smell the cinnamon and nutmeg before you even take a sip of the beer. 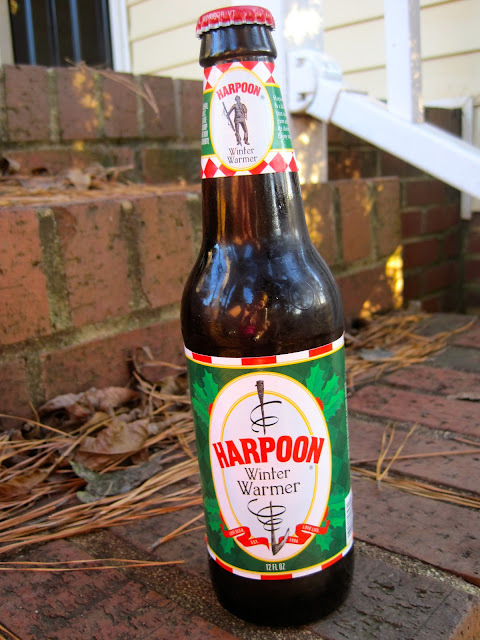 Fun fact: Harpoon has been brewing this beer since 1988, and it's their first-ever seasonal beer. Honestly, there is not a lot going on in this beer. D wasn't the biggest fan; he thought it was lacking in body. I have to agree. It really is a typical ale with spices. Do I like it? Sure! As the label displays, this beer is going to get in in the holiday spirit! The aromatic spices are going to dominate your nose and taste buds. Don't worry about hops; there are no bitter hop flavors in this one! This is an easy-to-drink beer that would be perfect for sipping on by the first at your holiday lunch. 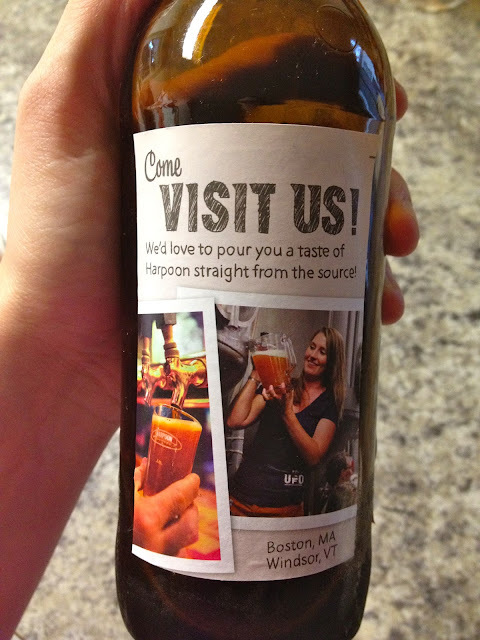 If you're in the Boston area, go meet up with those awesome Boston bloggers and enjoy this beer straight from the source! OK, that sounds right up my alley! I have not tried this yet, but a few friends of mine were just talking about this a few days ago! They said they liked it! I'll invite myself to that day of fun. WOULDN'T MISS IT. I love Harpoon but I've never tried this one! It sounds so good it's going to be next on my list! I'm from Boston too!